Hyderabad, the capital of Telangana, is a city with rich tradition and history. Popularly known as the Nizam City of India, Hyderabad holds a regal past and now it has become one of the most High-tech cities of India, competing with Bengaluru, Delhi and Mumbai. The is currently the hub of trade and commerce and an international centre for Information Technology and, undeniably, the most inexpensive metro city. Delightfully known as the City of pearls, Hyderabad is the city of smiles and many happy faces for us. 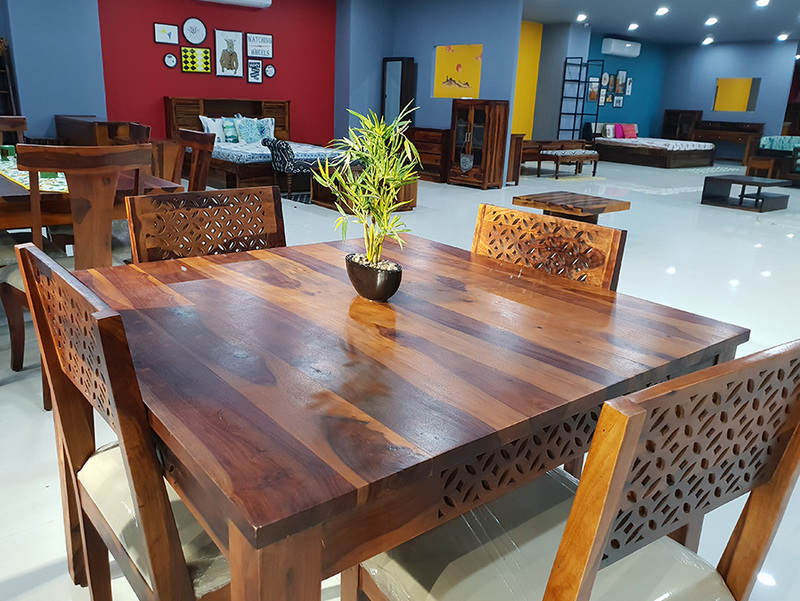 We have been serving this city with premium quality solid wood furniture for about 4 years now, and to bring more ease to the shopping experience, Wooden Street comes with its first Experience Store in Hyderabad, Telangana. 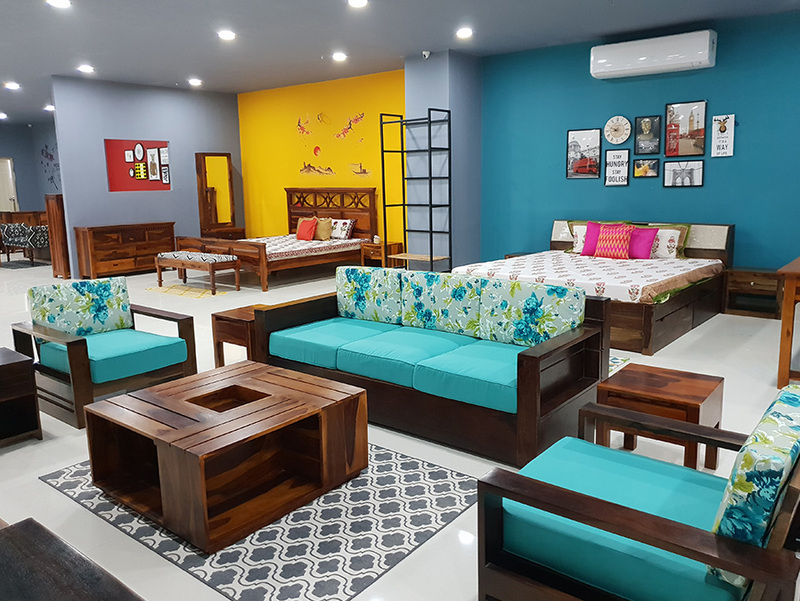 Located in Miyapur, our Hyderabad Experience Store lets its shoppers visualize and experience the huge range of furniture which is also offered online. Woodenstreet.com offers unparalleled variety in solid-wood furniture and home décor segment with over 8,000 products in its catalogue. 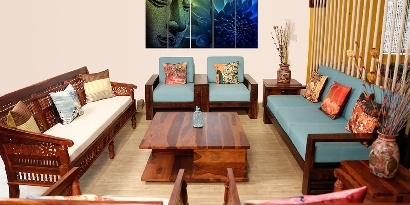 This offline store is the place where one can touch, feel and inspect the quality of furniture. The store is a visual treat from the get go. 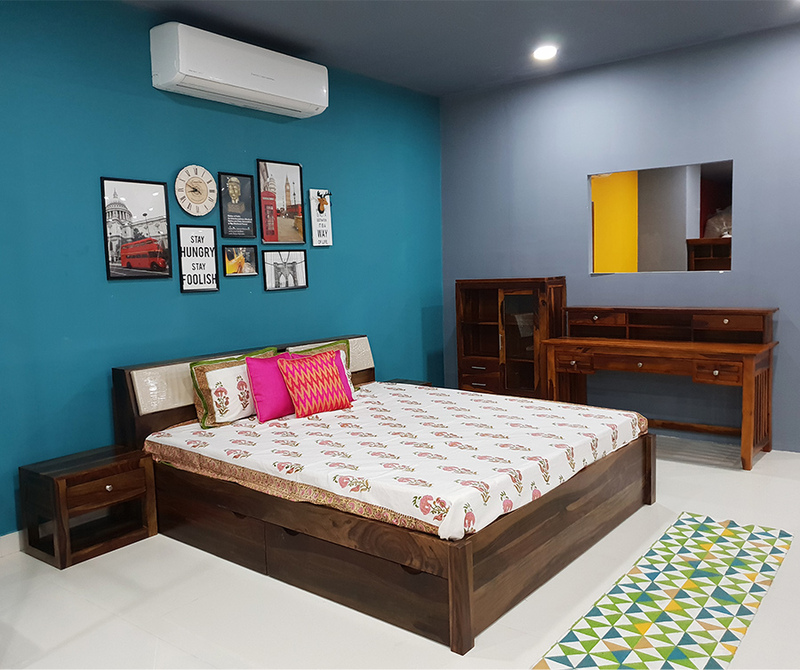 One can feel the warmth of solid-wood furniture and the beauty of playful fabrics as soon as they enter. 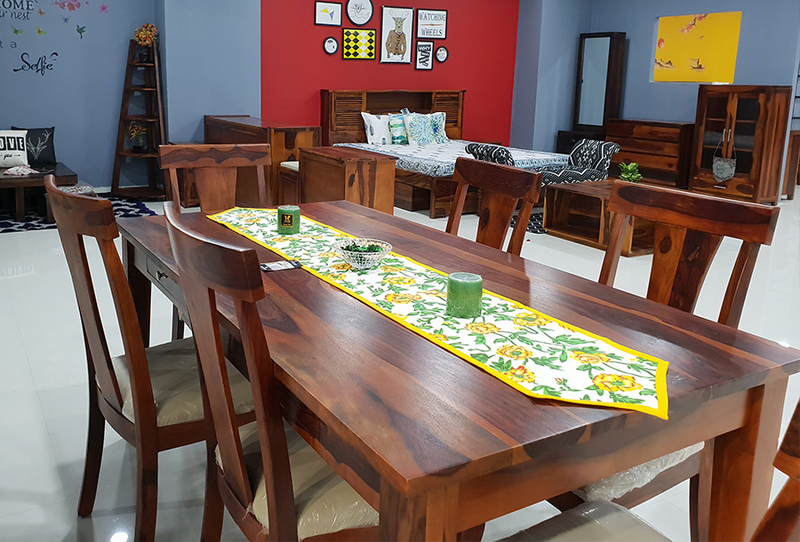 Wooden Street is India’s finest custom furniture e-store and continues this USP at its offline stores as well. 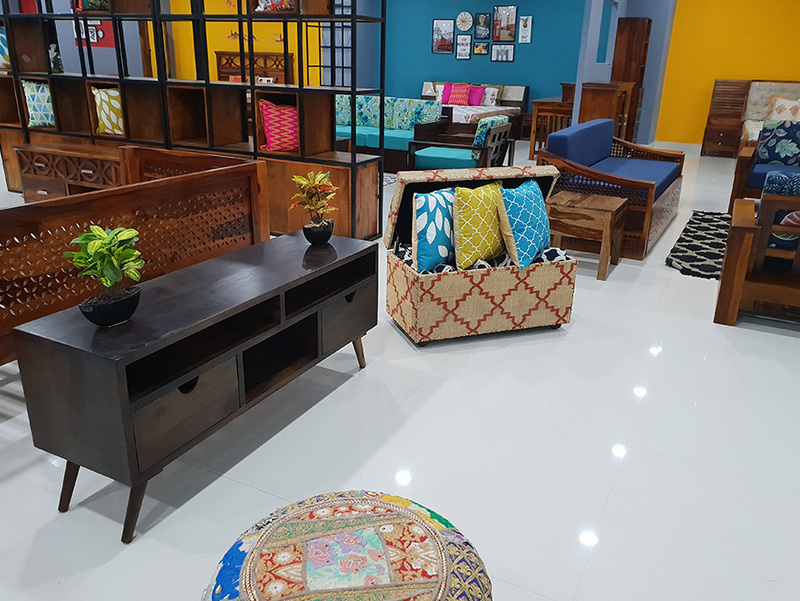 The offline store in Hyderabad is a design inspiration for the crowd of the city. Here, they can benefit from the experience of the staff that includes professional designers to gauge what the clients are looking for and guide them accordingly. 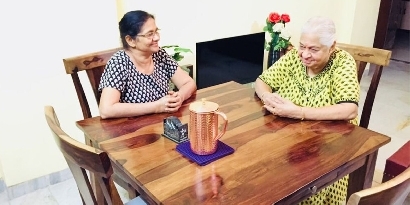 Bengaluru and Chennai, followed by Hyderabad, hold the highest number of clients in South India and having an Experience store in the city strengthens our commitment of providing a superior experience to the satisfying customers in Hyderabad. 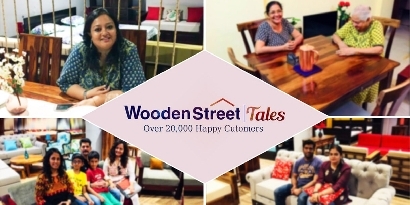 WoodenStreet launched its first offline store in 2015 in Bengaluru, and since then, there has been no looking back. 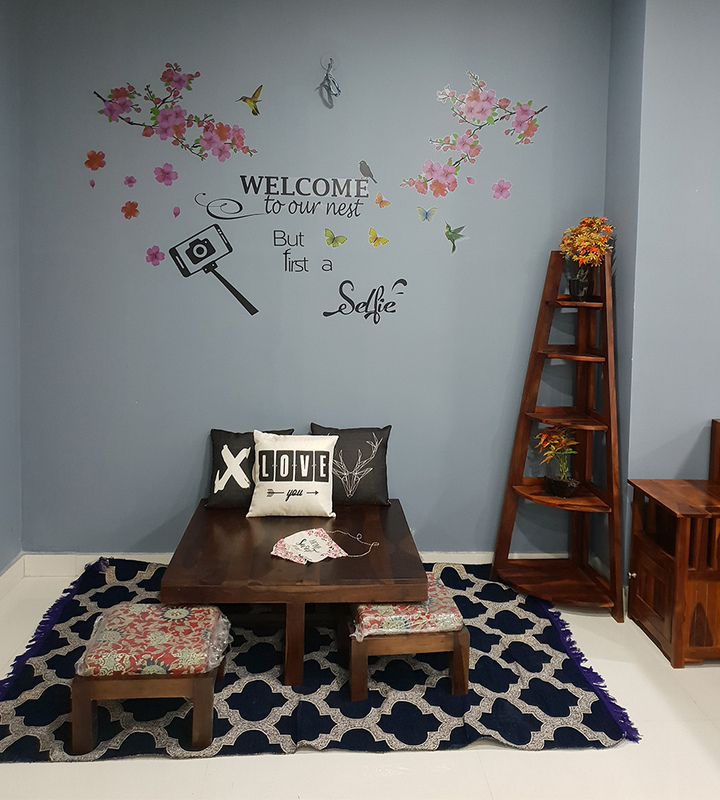 Proceeding the strategy of building a larger omnichannel business in furniture and home décor segment, Wooden Street opened 9 new experience store in 2018 and reached at the total number of 12 stores across the country. 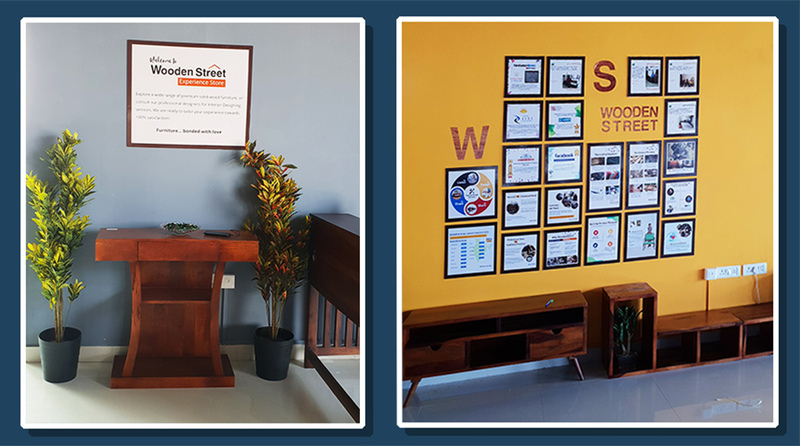 Wooden street has served more than 25,000 happy customers in the past four years and these Experience stores are just the beginning of a new furniture shopping experience. 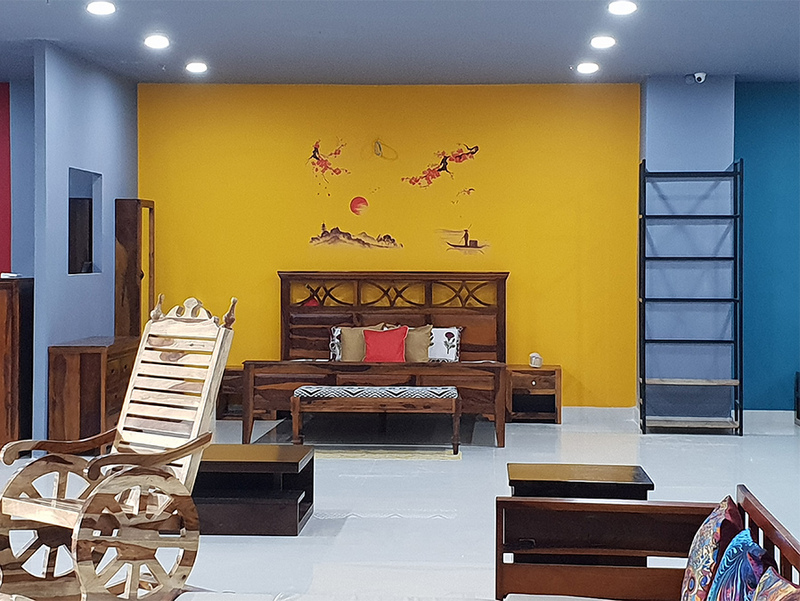 We are looking forward to opening more Experience Stores across India, and increase its reach with more delivery hubs, so that the customization and quality solid-wood furniture becomes accessible to everyone. 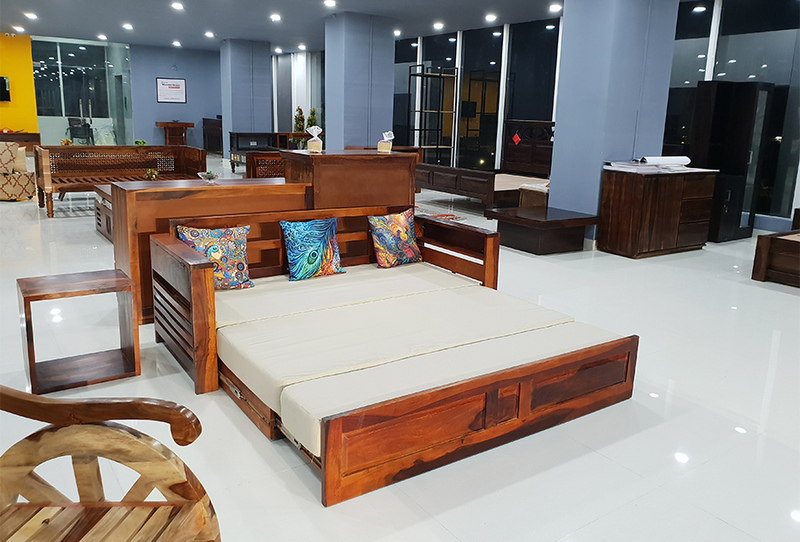 Do visit your nearby Wooden Street Experience store and take a chance to touch, feel and visualize premium furniture that exceeds all your expectations.